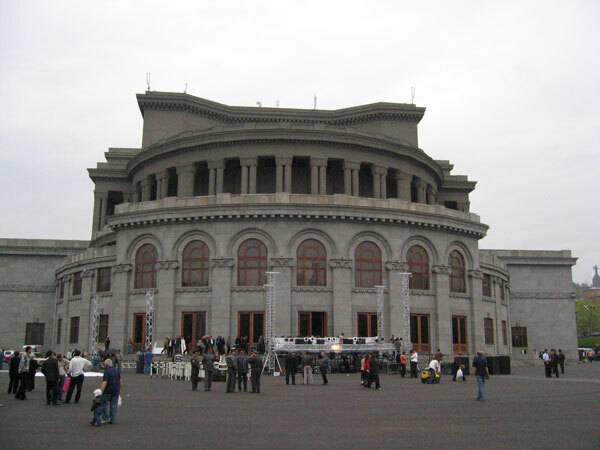 The Opera House in Armenia boasts a tradition of centuries; in fact, its foundation and the first period of activity in Yerevan go back to the second half of the 19th century. 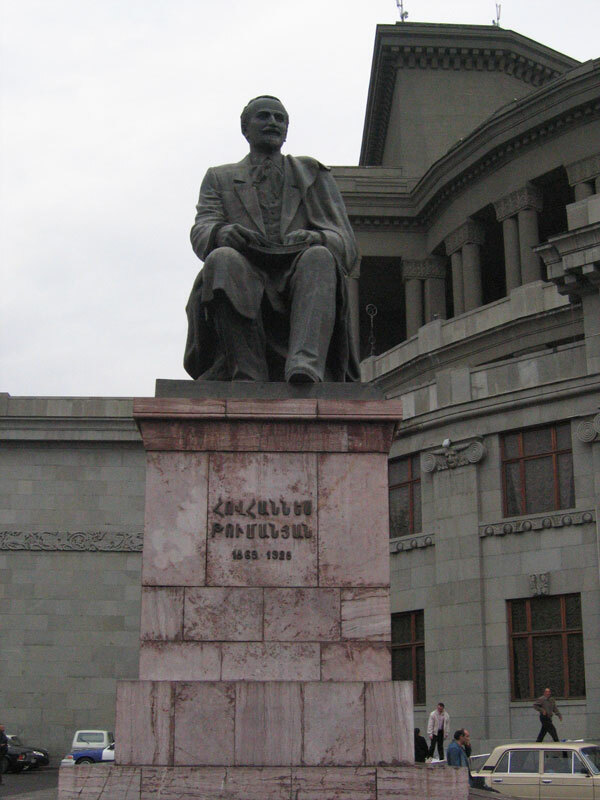 In 1868 the first national Armenian opera was composed: the Arshak II, for which its author, Tigran Ciukhadjian, was given the name "Armenian Verdi" by his contemporaries. Tigran Ciukhadjian was actually the first Armenian composer who created the musical drama, operetta and opera and he was as well one of the first organizers of musical companies in Armenia, for the performance of musical plays composed by the author himself and operettas, especially Offenbachs ones. Without any doubt, Tigran Ciukhadjian has given the most important and original contribution to the story of the opera house creation. A lot of Armenian composers dealt with different kinds of musical theatre, but the gap of a real opera house was an unbearable obstacle for the accomplishment of their ideas. A number of important people from the world of culture were dreaming about the creation of a steady theatre. This dream came true in 1933, on January 20th, when the Opera House was opened. The opera Almast, by Aleksandr Spendiarov, was chosen for the inauguration, and in 1938 the National Opera House was dedicated to this famous composer. Later on, every season had been traditionally inaugurated with an opera by Aleksandr Spendiarov. Almast was staged by one of the main experts of the stage direction, Arkadij Burdjialian, conducted by Stolerman, while the scenes and the costumes were created by the great Armenian painter Martiros Sarian. Among the founders of the opera theatre we can count the greatest personalities of the world of the Armenian culture: the conductors K. Saradjev, G. Budagian and S. Ciarekian; the painters M. Sarian and A. Arutiunian; the singers A. Danielian, S. Talian and L.Isetskij. In 1933, famous directors such as A. Gulakian, L. Kalantar and V. Adjemian started working at the theatre. Thanks to them, the theatre had been acquiring more and more personality, so that the Everan Opera House was able to create with a quite original taste, some international lyrics masterpieces. The national classical opera “Anush” by Armen Tigranian has always been performed since the foundation of the Opera House. The first performance was played in Alexandropol in 1912, when the composer conducted some not professional singers and musicians. The opening of the theatre contributed to the creation of new national operas, and many talented young artists were attracted by this. In 1935, on January 6, the first ballet The” Swam lake” was presented at the Yerevan Opera House. With this success a new activity was born. The National Ballet. 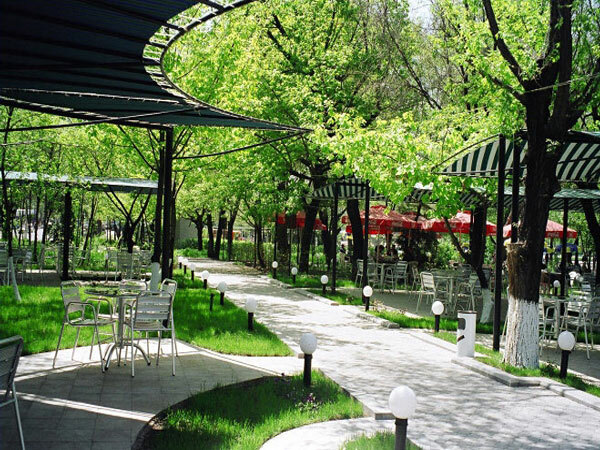 In Armenia this discipline has been brought to the highest quality and expression levels. The first was “Happiness”. Performed in 1939 with music by Aram Khaciaturian, who became an important national symbol. Following the success of this ballet, the composer himself created Gaiané, a very famous ballet which has been played in many theatres in the world: Lipsia, weimar, Berlin, Budapest and Paris.